HSA Dermal Clinic is proud to offer an extensive range of IPL treatments for a variety of common skin conditions and complaints. Our full range of IPL treatments extends to Photorejuvenation Treatment, Pigmented Lesions Treatment, Redness Treatment, Skin Tone Treatment, Sun Spots Treatment, Telangiectasia Treatment, Vascular Lesion Treatment and many more besides. We tailor the IPL treatments we provide in accordance with the requirements of each customer individually. If you cannot find the exact treatment you require listed on our website, contact a member of the HSA Dermal Clinic team for more information. Cutting-edge photorejuvenation treatments in London, performed by the experts at HSA Dermal Clinic. Our photorejuvenation treatments can effectively address a variety of common issues like age spots, dilated blood vessels, excessive redness and so on. Using the latest technology, our photorejuvenation treatments are comprehensively safe for most skin types and capable of producing almost immediate results. Suitable for use across the entire body, the most advanced photorejuvenation treatments replicate the results of more invasive cosmetic procedures, with absolutely no surgery required. Contact a member of the HSA Dermal Clinic team today to discuss your requirements and the available options in more detail. HSA Dermal Clinic offers an extensive range of pigmented lesions treatment options, performed at our cutting-edge clinic at the heart of London. We take an advanced and scientific approach to pigmented lesions treatment, using the latest technology to address pigmentation issues across the entire body. Our experience and expertise with all aspects of hyperpigmentation are unrivalled, enabling us to deliver unbeatable results at the most competitive prices. Whatever the nature and extent of the issue, our advanced pigmented lesions treatment options are comprehensively safe, accessible and exceptionally effective. HSA Dermal Clinic goes the extra mile to exceed expectations. Explore an extensive range of redness treatment options in London, effectively restoring the skin’s natural beauty and balance. Excessive redness of the skin can be caused by a variety of triggers, which in many cases can be reduced or even reversed using the latest technology. We exclusively offer non-invasive cosmetic procedures for effective and lasting redness treatment, often delivering instantaneous results with no side effects or downtime. Even if previous attempts at redness treatment elsewhere have failed, our state-of-the-art approach to pigmentation issues and general skin complaints could radically transform the appearance of your skin. Discover the latest advances in skin tone treatment options for the 21st century, performed at our state-of-the-art clinic at the heart of London. HSA Dermal Clinic has unrivalled experience and expertise in all aspects of skin tone treatment, addressing both common and rare conditions across the entire body. Whether looking to tackle a problematic skin condition or simply reduce the most common signs of ageing, we can provide you with a uniquely effective skin tone treatment for immediate and long-lasting results. We’re also proud to offer all clients an obligation-free initial consultation – call the HSA Dermal Clinic team today for more information. HSA Dermal Clinic specialises in the reduction and elimination of vascular lesions across all areas of the body. Utilising the latest advances in IPL technology, our team of experienced clinicians can effectively reduce the appearance of vascular lesions, without the need for invasive surgery and with no downtime. We perform an extensive variety of cutting-edge laser treatments from our state-of-the-art facility at the heart of London. Whether looking to tackle the first signs of developing vascular lesions or a more advanced or sustained problem, you can count on HSA Dermal Clinic to exceed your expectations. Call today to book your free consultation. Safe and effective sun spots treatment in London, quickly and comprehensively eliminating one of the most common signs of ageing. Also referred to as liver spots and age spots, sunspots can have a significant impact on the evenness and general appearance of the skin. Our advanced approach to sun spots treatment allows for the rapid and often permanent removal of problematic spots, without the need for any invasive surgery whatsoever. Accessible, affordable and uniquely effective, we provide a variety of sun spots treatment options to suit all requirements. 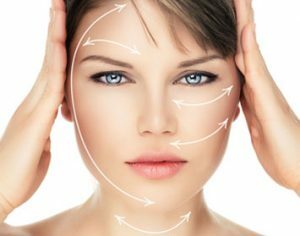 Confidently combat the most common signs of ageing, with the help of the experts at HSA Dermal Clinic. HSA Dermal Clinic is proud to offer the most effective and advanced telangiectasia treatment in London, performed at our cutting-edge facility in Richmond upon Thames. Often referred to as spider veins, telangiectasia is an extremely widespread skin complaint and a characteristic sign of ageing. Using the most advanced IPL technology, our telangiectasia treatment attacks the root cause of the problem, while encouraging the production of new collagen and elastin for a smooth, supple and youthful appearance. Safe for most skin types and with absolutely no downtime, the latest advances in telangiectasia treatment have transformed the lives of thousands of adults across London and the rest of the UK. The latest advances in vascular lesions treatment can be used to address even the most advanced problems with skin tone and evenness across the entire body. Utilising cutting-edge laser technology, our approach to vascular lesions treatment is uniquely safe and effective. While tackling the issue with pinpoint precision beneath the surface of the skin, our vascular lesions treatment also encourages the production of new collagen and elastin, boosting the skin’s suppleness and youthfulness. To learn more about the latest vascular lesions treatment technology in London or to arrange an obligation-free consultation, contact a member of the HSA Dermal Clinic team today.